I have the game CD. I did not download it. I am running Windows 10 64 bit system. 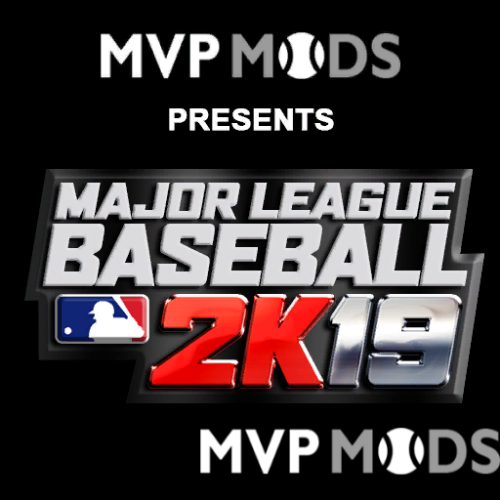 My MLB2L12 with the 2019 title screen and franchise downloads is working GREAT! Except that at the end of a game IN franchise mode, instead of getting the post game info pages I get the highlighted ML2K12 black and red and white logo screen, and I have to use the task manager to get out of the game. Then when I go back in and simulate that day's game, there's no telling what I will get on the schedule screen even though I just won that day's game. Any help with clearing up this little glitch please? How do I get a 32 bit game (MVP Baseball 2005) to run in a 64 bit system (my Windows 10)? Any help here would be appreciated, Thanks! When I downloaded and activated the 2019 front end, I noticed the ad boards were all changed except 1. Levi's Landing in AT&T park is still missing. Any help please? andygev35 I just got 2K19 installed and saw the ingame graphics for the first time. EXCELLENT work - WELL DONE! Thank you for all your time and effort that went into this! I have 7-Zip installed. Please, exactly HOW am I supposed to 'extract' those front end files? When I click on Extract it tells me to choose a file. I drag the first file into 7 Zip and it OPENS the file rather than extracting the files. A little bit of help here, if you please? I downloaded all six files and opened the first file only to find more Zip.file documents inside there. NOW what do I do with them? Being as how you are a moderator, I am guessing you know a lot about 2K12 the PC version. Am I right about that? No Yankee4life I did not download the game. I have the discs. Jim825 I read the MVP 2005 and Windows 10 Thread and did everything is said and got the same results. The game loads fine, but then I double click on the logo to open the game and it says I need to get administrator privileges. I did that and got the same results. NOW what do I do? Any other suggestions please? From either one of you two please?